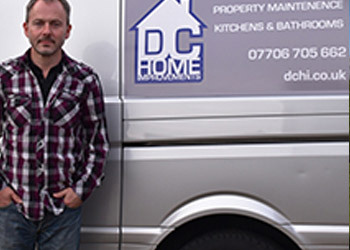 You selected New Forest Business Category: "Repair, Servicing"
Description: Property Maintenance / Home Improvements. Bathroom, Kitchen design & installation, Tiling Re-grouting and silicone, drilling porcelain tiles! Painting and decorating Door Hanging Garden Decking Small job friendly Repairs. Description: Oakwood Fencing have over 15 years of experience. We provide the following services: Fencing (domestic, commercial, industrial agricultural), Gates (hardwood and softwood), Gate posts, Trellis, Pergolas, Decking, Hedge removal, Digger and driver hire. Description: ll manner of work is undertaken in our workshop. With over a decade of experience working on bikes of all types you can rest assured your bike is in the safest of hands. An enormous amount of care, attention and perfection is put into each and every bike. Description: Moduloft UK, Leading trussed rafter loft conversion company. Description: Lymington's one stop computer repair shop. On Lymington High Street, in the New Forest. We fix your computer the same day. Pop in and see us or call today. Opening times 08:00-17:00 Weekdays. Apple Mac Repairs, Laptops and PC desktops. Description: we are a local plumbing and heating company (gas oil and solar). Gassafe & Oftec registered. We offer a 24 hour call out service 7 days a week. Our engineers are competent, reliable and friendy.Our prices are fair and competitive.